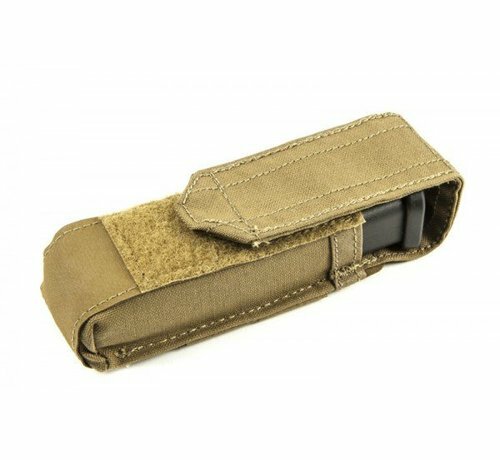 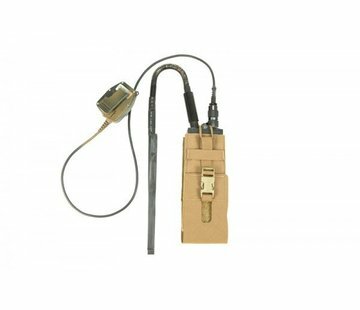 Blue Force Gear Single Pistol Mag Pouch (Coyote). 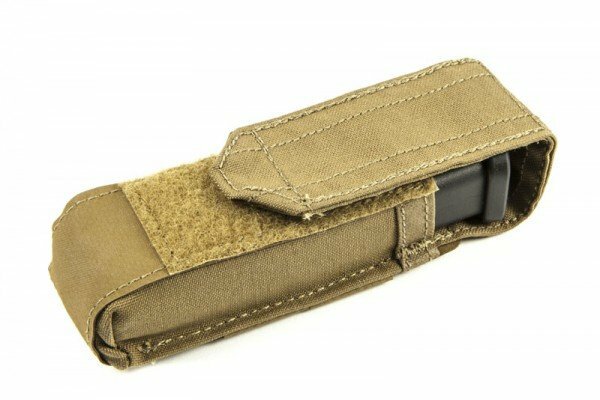 The Single Pistol Mag Pouch holds most any single or double stack pistol mag (up to and including double stack HK45 mags), a light, multi-tool, or other similar sized item. 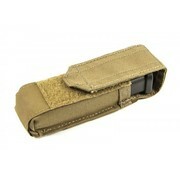 The Pouch can accommodate different sized items by closing the flap further down the hook and loop field. Only occupying 2 rows of MOLLE, the Single Pistol Mag Pouch can be mounted on the sides of the Admin Pouch, Trauma Kit NOW!, or a free column on a plate carrier or chest rig.